You are browsing the archive for fact!. After the Fact returns – you can watch! That’s right quiz fans, After the Fact, the award-winning community radio quiz show returns this evening for its second series. From next Thursday, it will revert to its regular broadcast slot; that is, Thursdays at 7pm. However, as part of the Claremorris Community Radio Broadcastathon, we decided to present the debut tonight, Saturday, at 8pm. As always, you can listen in to the show, via claremorriscommunityradio.ie. However, this special event comes with special circumstances. Firstly, we are broadcasting from a new, specially created (and incredibly spacious) studio. More importantly though, as the Broadcastathon is being filmed and streamed on claremorristv.com, you can tune in there and actually WATCH After the Fact take place. So please do. 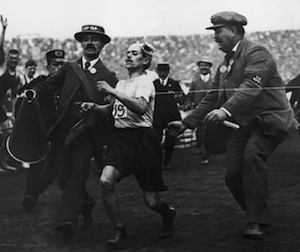 The topic for the show’s questions will be, not too surprisingly, marathons. Alas, Clancy our robot scorekeeper has already informed me that he’s a bit camera-shy and will probably remain just out of frame. After the Fact, the quiz show I hosted on Claremorris Community Radio last Winter (you know, the one I plugged mercilessly on this site!) can now officially be referred to as an award-winning production! At their annual awards bash last weekend, Craol (the umbrella organisation for the community radio stations of Ireland), awarded After the Fact a merit award in the ‘Specialist Speech’ category. As the host of the show, I’d like to thank everyone who took part over the 28 shows especially, of course, the two regular captains Andrew Newman and Marcella Connolly. We’d best get cracking on series 2! If’d you like to listen back to any of the 28 award-winning episodes, feel free to check out the show page or subscribe via iTunes. Last week, I converted the Quizopædia into a wiki. You can now add facts or correct errors so please feel free to do so. I’m going to retain the ability to have final say on things though so no funny stuff! The final (scheduled) episode of After the Fact will be broadcast live on Thursday evening at 7pm. If you’d like to listen in, please go to Claremorris Community Radio‘s page anytime around then and click on the Listen Live link. The series is finely poised with Team A leading by a single show. Thus, if Team B can get the win on Thursday (the topic is Zero, by-the-way) the series will have to go into extra-time! That is, we’ll have an extra show next week. Either way, this week’s show will be quite exciting. For more info, check out our After the Fact page. 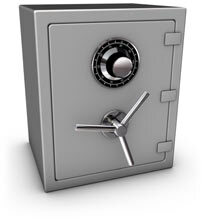 The next competition window in the IQA’s Hot 100 world quiz rankings event opens tomorrow, Wednesday 28th, and runs until 10pm on Monday next. If you’d like to give it a go, please email me at quizmaster@tablequiz.net. Only two of us gave it a go last month so we’d definitely be keen on some more company. We’ll probably do it in Galway city again, sometime over the weekend. Whatever suits people best. What a week I have ahead. Ok, thanks to the Public Holiday, it starts on a Tuesday but that will only result in it being even more crammed with stuff for me to do. 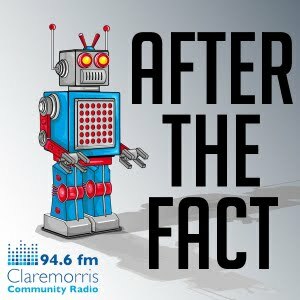 Tomorrow evening, I’ll be in the Claremorris Community Radio studios to record this week’s episode of After the Fact, our weekly quiz show that combines QI with Sesame Street. Normally, as I’m sure you know, we do the show live on Thursday evenings at 7pm. However, this week we can’t as I’m away. Where will I be? I’m part of the Irish team going to the European Quizzing Championship, which takes place in Bruges, Belgium, over this weekend. If you’d like to find out more about the competition, please check out www.eqc2011.be. Of course, I’ll endevour to keep you all up-to-date on how the Irish team is getting on, right here on the site throughout the weekend. It’s all very exciting but I do feel like I’ll be quite tired come next Monday! Dear readers, sorry if I have been a bit sparing with the blog posts in the last week. I have been busy preparing for the start of a new quiz show I am hosting on Claremorris Community Radio. It’s called After the Fact and it’s broadcast on Thursday evenings at 7pm. The first episode went out last Thursday and it’s now available online via the Claremorrisfm account on mixcloud.com. Alas, I haven’t yet found a way of embedding mixcloud files directly into this site so the best I can do is point you in the direction of the specific programme. I hope you enjoy it!